During pregnancy, your body is flooded with hormones, which can cause many physical changes to occur. Among these are changes to your hair and body hair, which can differ from person to person and take many different forms. If you’re worried about changes to your hair that have begun since you became pregnant or after you’ve given birth, it’s recommended that you speak to a doctor. Our GPs can examine your symptoms, diagnose the likely causes of these changes and, if needed, prescribe treatments to help you manage these. 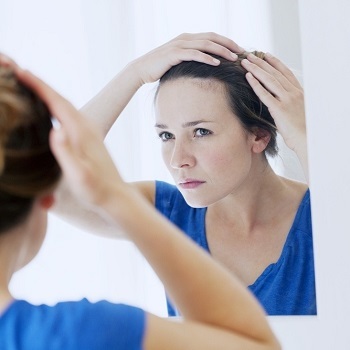 What causes hair changes during pregnancy? Hormonal changes during pregnancy can alter your body’s chemistry, with a range of different results. In some pregnant women, these changes can be welcome – leading to thicker, fuller and shinier hair. This is because your hormones alter your usual hair growth process, leading to rapid growth and in some cases, unmanageable hair. Other women may also experience intense growth in their body or facial hair, although this usually returns to normal after you’ve given birth. However, following pregnancy, some women may shed a great deal of hair or find their hair has become extremely dry and brittle.